I started the book , well aware of the reputation it has earned in terms of all the literary awards. Also YA is one of my favorite genre and I have been waiting for an opportunity to read some book from this category. 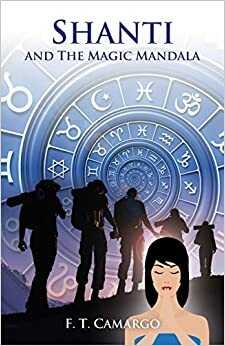 Shanti, Antonio, Helena, Nasir, Itai, and Tadao - six people from different background , each with not just somewhat related interest but a common destiny - of saving planet Earth from forces that have been active not just years but from centuries. Here, this part might be a little stretch for readers to accept , but I liked that the book opened with this setting so the readers are prepared for the plot twists to come. Setting the mood for the book is something I would totally commend the author for. The author takes time to introduce us to each of the characters and that is the most engaging part of the story for me. From there, the story flows smoothly though a little slow for my pace. But considering the reader's age and sensibilities , I think the book would work well. The writing is simple and well researched. The action sequences are crafted seamlessly in the narration of the story. The story throws good light on some of the problems Nature is subjected to by humans and a good lesson on how we should act responsibly and pass these teachings to our kids too. Tracing six different characters and their ideologies is a huge task and I totally appreciate how the author tried to show that no matter the differences, we all have similar desires , fears and reasons to save our planet. Overall , the book did not disappoint me. Buy Shanti and the Magic Mandala here.